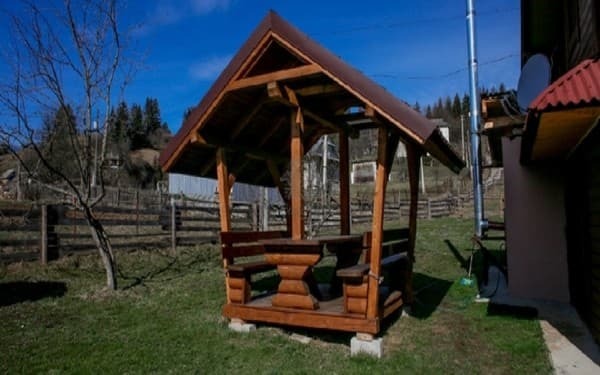 Private estate "Quiet Vechir" is located in the village. Iltsi is 5 km to the center of Verkhovyna and 100 meters from the highway. For tourists - a two-story cottage for 4 rooms. On the first floor - two-room (in one room - two single beds, in the other - a double bed); a bathroom. On the second floor - single room, double room, bathroom. Each room has a TV. Heating: autonomous. Water supply: cold water is constant, hot - a boiler for 100 liters. 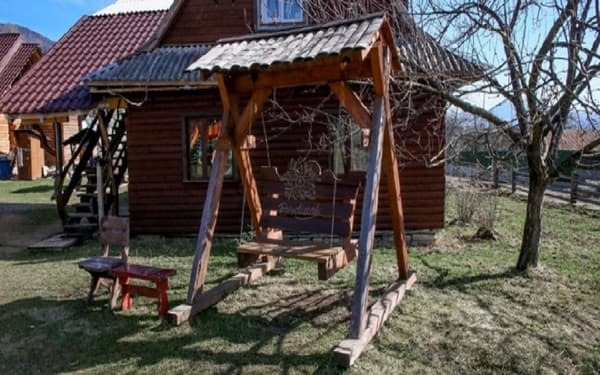 On the territory of the estate "Quiet Vechir" there is a gazebo, a barbecue, a swing, parking. The cottage has a kitchen for self-cooking. The nearest café and shop are 100 meters from the manor. The distance to the ski lifts is 1.5 km. Description of the room: A two-storey cottage with 4 rooms. On the first floor - two rooms (- two single beds in the other - in one room double bed); bathroom. On the second floor - a single room, double room, bathroom. Each room has a TV. It can accommodate up to 10 people. Children under 6 years are accommodated free of charge, 6-12 years old - 50% discount. 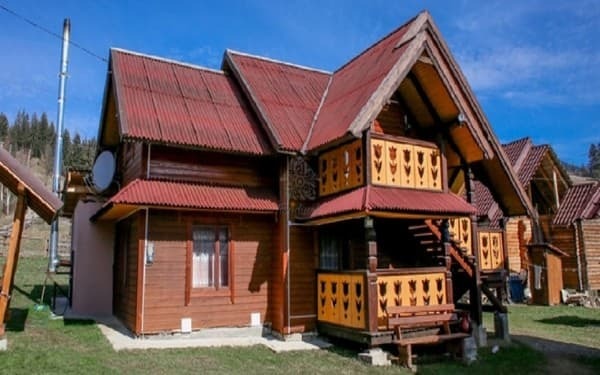 The cottage is located in the village of Iltsi (5 km to the center of the village Verkhovyna), 100 m from the route Tatariv-Kamenets-Podolsky (R-24). The distance to the ski lifts is 1.5 km. By bus, shuttle from Ivano-Frankivsk in the direction of Verkhovyna, get off in. Iltsi. You can agree on a meeting with the owners near the gas station. By car along the highway N-09 to the village of Tatariv, turn at the sign "Verkhovyna". In the village of Iltsi in front of the gas station turn left and go along the street to the estate "Quiet Vechir".